It’s been awhile since I fired up my game consoles. But way back when, definitely one of my favorite games was BORDERLANDS, and BORDERLANDS 2. And holy geez, Variety reported that last month, developer Gearbox announced it was bringing its popular loot shooter “Borderlands 2” to PlayStation VR. Though no screens or footage has been released as to what things will look like in-game, Playstation put out a live-action spot promoting the release. BORDERLANDS 2 VR will allow support motion controllers and the ability to free-walk or teleport around the map. BORDERLANDS 2 VR drops on December 14th at $49.99. 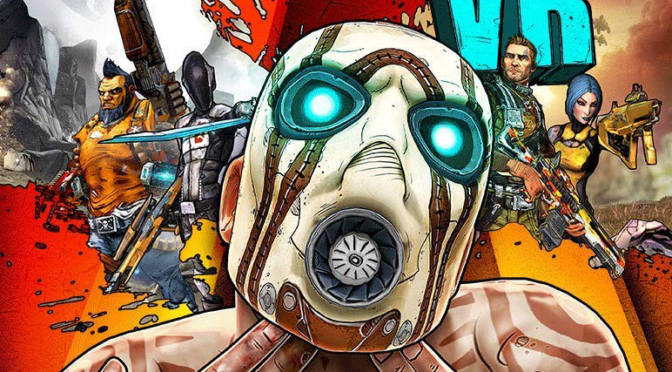 If you’re all set up with a PS4 and the Playstation VR, you can pre-order BORDERLANDS 2 VR here.